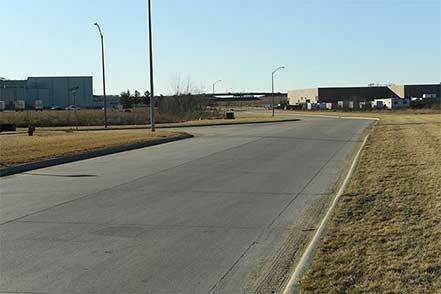 Projects funded by the RISE program promote economic development in Iowa through the establishment, construction, and improvement of roads and streets. The RISE program is targeted toward value-adding activities that feed new dollars into the economy and provide maximum economic impact to the state on primary or secondary roads, and city streets open for public use. While all counties and incorporated cities in Iowa are eligible to apply, funding is generally limited to industrial, manufacturing, warehousing, distribution, and professional office developments, with few exceptions. Legal documentation of purpose, administration, funding, eligibility, and Immediate Opportunity and Local Development projects. Two-sided fact sheet summarizing the RISE program and requirements. 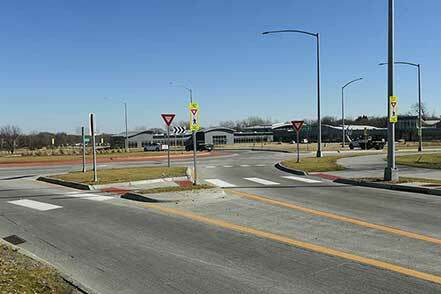 Informal guidelines for the administration of RISE funds as agreed to by the Iowa Department of Transportation Commission. Subject to change. Immediate Opportunity Relates to an immediate, nonspeculative opportunity for permanent job creation or retention. Up to $12,000 per RISE eligible job created or maintained may be awarded up to 80% of the RISE eligible costs. Applications are accepted any time. Local Development Supports local economic development but does not require an immediate commitment of funds (e.g., industrial parks, tourist attractions), or does not meet the immediate opportunity criteria. Local match is typically 50% of the RISE eligible costs. 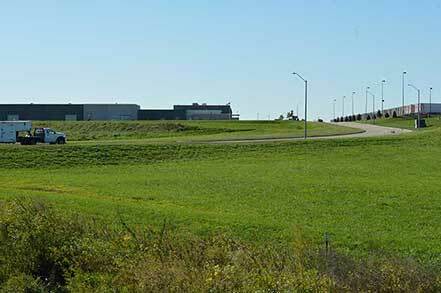 Locations certified through the Iowa Economic Development Authority’s Iowa Certified Site Program may be eligible for greater RISE participation. Application deadlines for the competitive funding rounds are Feb. 1 and Sept. 1. 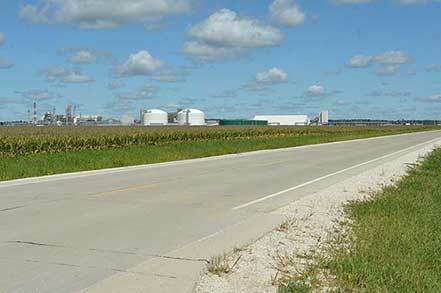 After a project is awarded by the Iowa Transportation Commission, the project may begin development. RISE projects have specific expectations and submittal requirements. Compliance with these requirements is essential to avoid project delays and/or loss of funding. Reimbursement claims must be accompanied by an original signed reimbursement claim form, copies of all invoices, listing the beginning and end of the invoice billing period, pay estimates, and cancelled checks totaling 100% of actual costs for which the reimbursement is being requested. RISE projects shall use positive efforts to solicit bids from and to utilize Targeted Small Business (TSB) enterprises as contractors and ensure contractors make a positive effort to use these enterprises as subcontractors. This shall be documented according to the Iowa DOT’s Contract Provisions and TSB Pre-Bid Contact Information Contractor’s Form. The Office of Local Systems offers information on project development through their Instructional Memorandums and Project Development Guide that can be used as a resource as the project develops. In addition to requirements for the application, approval and construction processes, the sponsor is required to report on the project contingencies to verify they are in compliance. If the contingencies are not met, the project may require a settlement up to the full repayment of the RISE award. Immediate Opportunity: Company payrolls and a completed Accomplishment Report are required to document that the baseline and job creation contingencies have been met three years after the roadway is open to traffic. Local Development: A completed Accomplishment Report including a zoning map and report of actual development is required to document that the RISE land eligible contingencies have been met. Contingencies range from majority to 100% of the area to be developed as RISE eligible development and are monitored throughout the life of the funding agreement.